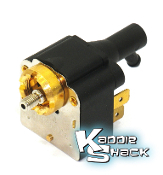 Quality replacement ignition switch comes with two keys. This is the electrical portion of the switch. 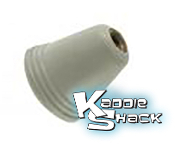 If the mechanical (keyed) portion is needed, you'll need #113905853 also. This is the electrical portion of the switch. If the mechanical (keyed) portion is needed, you'll need #113905855B also. This dimmer switch turns the high beams on and off when the headlights are on. 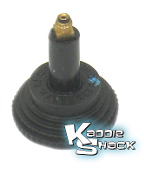 It fits early Bugs, Ghias, Buses, etc, and is located on the floor next to the clutch pedal. 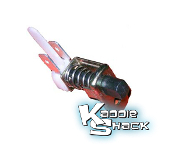 Quality replacement switch to get your turn signals back up in working condition. Original '62 to '65 switch is ivory in color, whereas this one is black. It will work the same. Note: Do not connect dimmer switch wire on early cars. 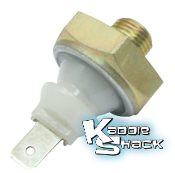 Quality replacement switch to get your turn signals back up in working condition. This is the mechanical keyed portion of the ignition switch. If the electrical part is needed also, order 311905865A too. This is the mechanical keyed portion of the ignition switch. If the electrical part is needed also, order the correct one to match your specific year. 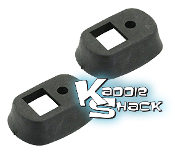 Quality replacement headlight switch to replace your intermittent or non-functioning original. This is the switch that turns the interior light on and off in many cars. If it is broken or corroded, the light will not illuminate when the door is opened. 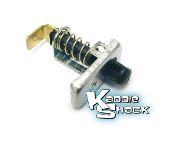 This is the late model wiper/washer switch that installs in the dash on the '68 to '71 Bug. 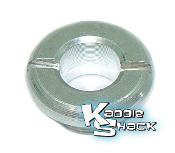 The escutcheon (nut) that holds it in the dash is 14mm, should it need to be replaced also. 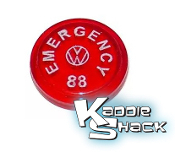 This dash switch fits 71-72 Super Beetle, 68-73 Bugs and Ghias, 68-72 Buses and Type 3's and controls the hazard lights. Replace your brake light switch when it leaks, stops lighting, or when replacing the master cylinder. 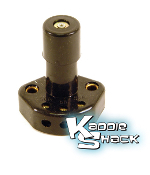 This is the stock oil pressure switch for all Type 1 engines of all years. 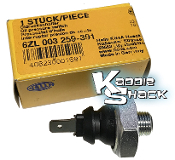 If your oil pressure light is flickering on and off, or stays on all the time, it could be a defective oil pressure switch. This quality German replacement fits all Type 1 engines. 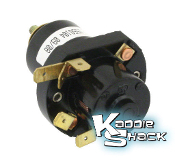 This dimmer relay controls the headlights and high beams on all '67 and later air cooled cars. 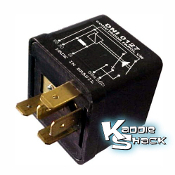 This is a very common flasher relay used in many models from 1971 to 1979. It has 3 terminals, so be sure to check that yours has 3 before ordering. It is also used to replace the relay that came round from the factory. 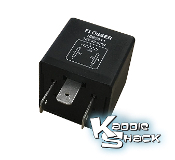 This is a very common flasher relay used in many models. It has two terminals, so be sure to check that yours has two before ordering. 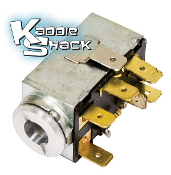 This turn indicator relay is used on many models from '68 to '70. 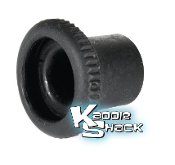 It is also used on '71 Ghia's and '73/74 Things. 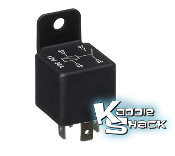 This 12V relay replaces the orignal 9 terminal box on '67 and '68 Type 1 and Type 3's. It is also commonly used when converting 6V cars to 12V. 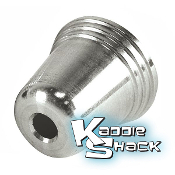 Here's a nice billet aluminum knob to dress up your interior on '67 and earlier cars. 5mm threads.